Review of: “Grey” the new EL James book and Giveaway! I have done a video of this particular review, but for those of you who don’t know I now have a YouTube channel, here is the review of one of the –again- most controversial books been released. My over all rating for this book 4 of 5 Stars. I liked the book, and I do not concur with most of the critiques, specially the bad ones. How ever, there are as many books as tastes out there, so everyone has their opinion on it. This is plainly the review of a fan of the series that likes the new book and appreciates the new perspective that EL James provided. First of all, and just to be clear my favorite book in the series is not Fifty Shades of Grey, it’s Fifty Shades Darker and with that in mind is one of the reasons that I give the book as many starts, even when its not all five. The story for me is very interesting. My favorite part I have to say was one that we didn’t get to see in all the books that preceded this one. It was the last three chapters of the book and having read the first one- FSOG, that is. I spent the whole book terrified that I was not going to get to read this part. That it would end just like FSOG and leave me wondering still, what was going trough his head? What made him decide on one thing when he was so set on another? Its really a good book, I quite enjoyed it and I am happy I purchased it in both formats, even when the physical copy didn’t get to me until recently, there for allowing me to do a Giveaway!!! All you have to do is go to the Facebook page of I Geek Books and like it, and then share the comment in there with the picture of the book and the news of this Giveaway. 1000 likes on the I Geek Books page! I think we can do it, what do you think?? There will be a drawing, I will be writing the names and pulling the winner. Fair and square, lets leave it to fate. This all for you today. I hope this helped in you were on the fence about reading this book. I will now go back to my massive and very enjoying TBR pile. Hope y’all have great book keeping you company. Posted on July 9, 2015 July 9, 2015 by ccalvarez90Posted in UncategorizedTagged #BookReviews, #BookTuber, #ELJames, #GiveAway, #Grey, #IGeekBooks, #IGeekBooksYouTube. 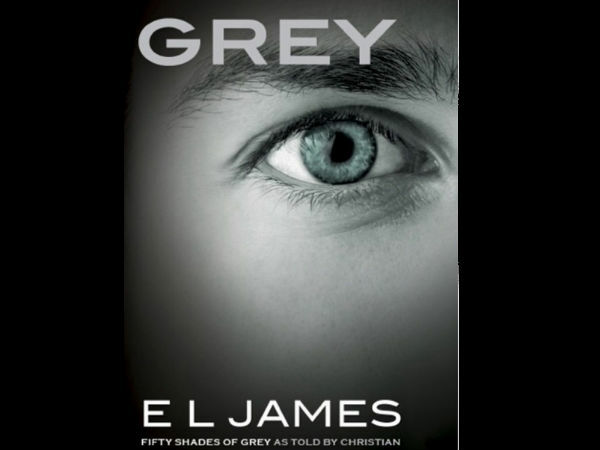 Next Next post: Review of: “Grey” the new EL James book and Giveaway! Dont miss out the giveway! !